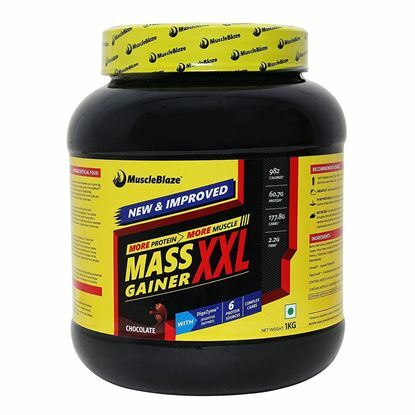 MuscleBlaze Mass Gainer XXL is the ultimate mass gain formula that empowers to grow big and muscular. The high-protein anabolic blend consists of 6 slow-medium and fast release protein types. 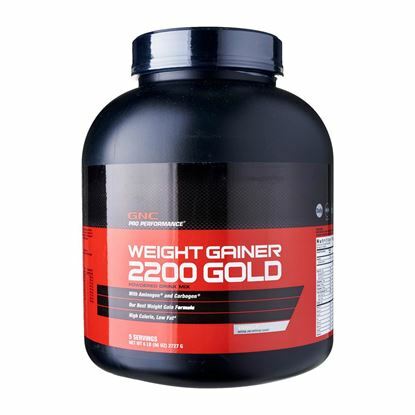 It supplies 982 calories derived from clean sources for transforming the physique of the bodybuilding enthusiasts. 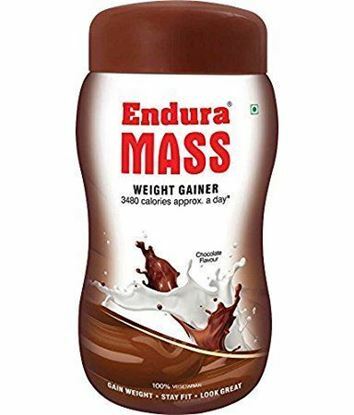 Endura Mass Weight Gainer is an easy way to gain and maintain weight. It is 100% vegetarian therefore it can be taken without any hesitation. 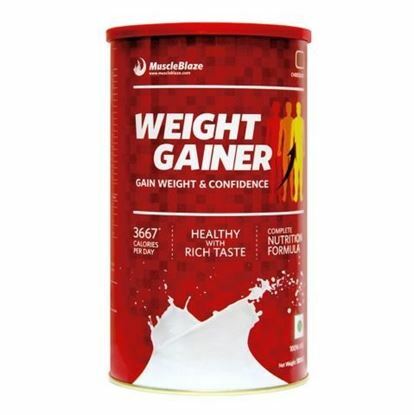 A balanced formulation of high quality soy proteins, carbohydrates, fats, minerals and vitamins, It gives vital nutrients and energy that helps in gaining optimum weight. 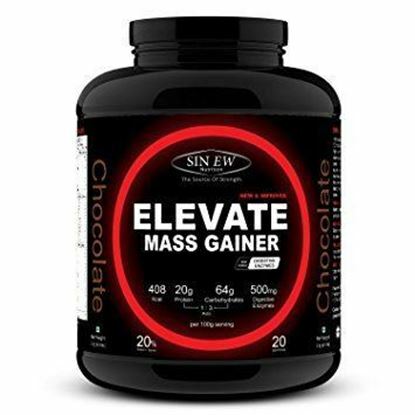 Sinew Nutrition Elevate Mass Gainer contains Protein Blend (Whey Protein Concentrate, Calcium Caseinate, Soya Protein Isolate), L-Carnitine, Vitamins including Vitamin A, C, D, E, B6, B12, B3, B2, B7, B1, B5, Folic Acid and Minerals including Calcium, Iron, Sodium, Magnesium, and Potassium as major ingredients. Sinew Nutrition Elevate Mass Gainer increases the overall intake of calories per day and helps the body to gain healthy lean muscle mass.